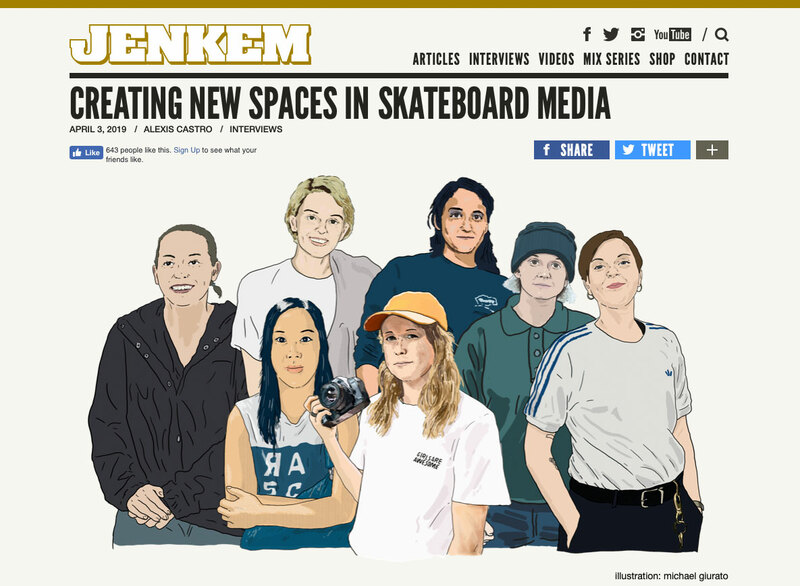 “A while back I interviewed Fabiana Delfino, and we talked about how we both felt there weren’t enough female filmers and photographers working in the pro skating ranks. She told me she often found it hard to find women to film or shoot photos with, and it got me thinking about just how many women were actually out there filming, shooting, writing, and working the media angle of skateboarding. Read full article on jenkemmag.com.